What types of flowers are those?! Hello and welcome to my petpage! My name is Pretza! 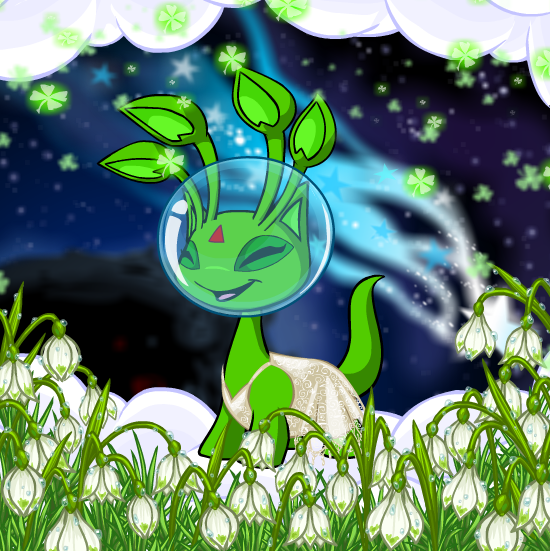 I'm an alien kitty who loves growing different types of flowers! I even have my own little garden on planet Earth! In my garden you can find all sorts of flowers/plants from all over the universe! It's definitely an out-of-this-world garden! 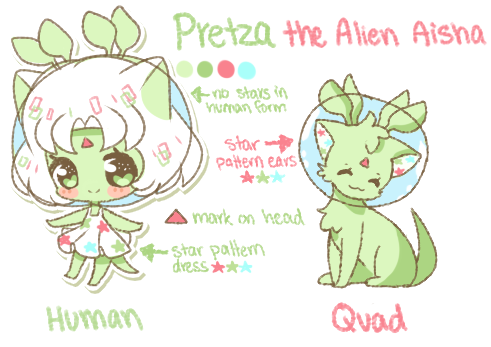 Pretza is actually an alien kitty born on a planet faaaaaar from Earth. On her home planet, she grew a love for gardening. She is fascinated with growing all sorts of flowers/plants. To expand her flower/plant collection, she decided to travel to planet earth where she can discover new things to grow! She now lives with Ekieno and has made her own little garden on earth! ➔ She loves gardening! Her goal is to grow many different types of plants/flowers! 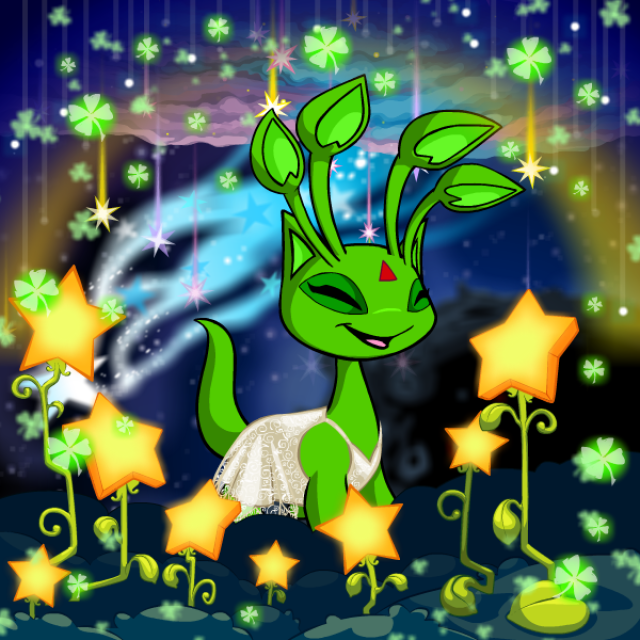 ➔ Her favorite flower is the star flower! She LOVES stars! ➔ She looks up to Ekieno and loves spending time with her. ➔ She doesn't like windy/stormy days. She prefers sunny days to tend to her garden! 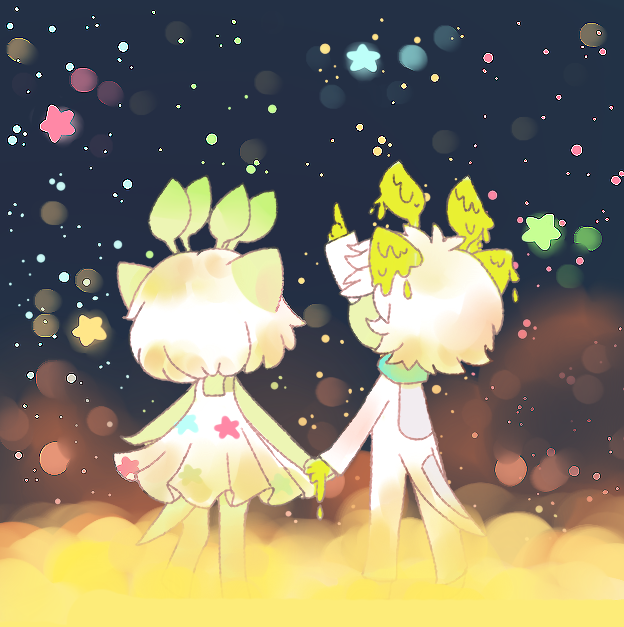 ▶ She wears a white dress with colorful stars on it. 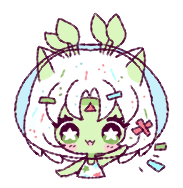 ▶ She has cat ears and 4 alien ears. ▶ Usually has a cheerful look. ▶ Wears a space helmet. Below is just a few of my favorite artwork drawn by myself! Just drag and drop to your address bar for full view! For more art of Pretza, please visit my pets art page! If you have a pet that wants to be friends with Pretza, just neomail me! If you have a directory and would like to list Pretza, feel free to send me a neomail!